Two Turkish F-16 shot down a Russian SU-24 near the Syrian border inside Syria. The two pilots could parachute out of the jet before it crashed, but Turkmen rebels from Alwiya al-Ashar, trained and funded by Turkey, killed one pilot with machine gun fire as he came down. The plane crashed in a mountainous area in the northern countryside of Latakia province near the Syrian village of Yamadi, 4 kilometer from the border. Government forces right now are fighting insurgents with aerial support from Russian and Syrian planes, and southern Hatay province Governor Ercan Topaca claims, that about 1,700 people have fled the mountainous area due to fighting in the last days. 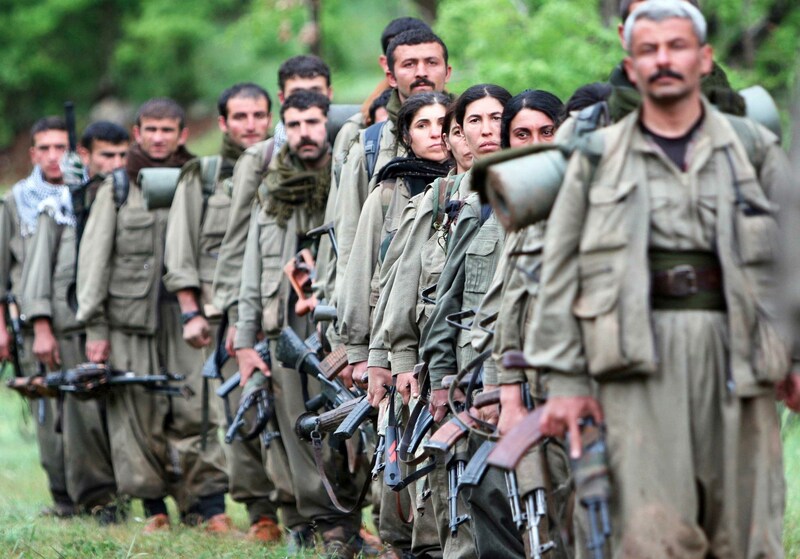 The fierce clashes over control of the “Burc Kasap” mountain are strategically important, as the side that controls the mountain typically has superiority over the Bayırbucak region. About 35,000 civilians are living in the area, 15,000 of whom are Turkmens. Turkey has called for a UN Security Council meeting to discuss what it describes as “attacks on Turkmens” and shortly before the downing of the fighter jet summoned the Russian ambassador to warn about grave consequences of the Russian air operation. The ambassador knows now what kind of “grave consequences” were meant. The Russian defense ministry stated, that ‘for the entire duration of the flight, the aircraft was exclusively over Syrian territory.” Foreign Minister Sergei Lavrov canceled a visit to Turkey. Lavrov advised Russians not to visit Turkey and one of Russia’s largest tour operators said it would suspend sales of trips to Turkey. Russian President Vladimir Putin insisted, that the aircraft had been attacked while it was one kilometer inside Syria and warned of “serious repercussions” for what he termed a stab in the back administered by “the accomplices of terrorists.” “We will never tolerate such crimes like the one committed today,” Putin said visibly enraged. Moscow will suspend all military contacts with Ankara and “Further measures to beef up Russian air base security in Syria will be taken.” Russian guided missile cruiser Moskva, equipped with the Fort air defense system, which is similar to the S-300, will be deployed off Latakia province’s coast. Sergey Rudskoy, a top official with the Russian General Staff, described the Turkish attack as “a severe violation of international law”. Rudskoy said that the Russian jet did not violate Turkish airspace. Additionally, according to the Hmeymim airfield radar, it was the Turkish fighter jet that actually entered Syrian airspace as it attacked the Russian bomber. NATO has called an immediate meeting of its ambassadors, Turkey will undoubtedly invoke Article 5 of the NATO charter if Russia takes any retaliatory actions. US military experts believe that Russia’s incursion into Turkish airspace, if it indeed happened, likely lasted only a matter of seconds. 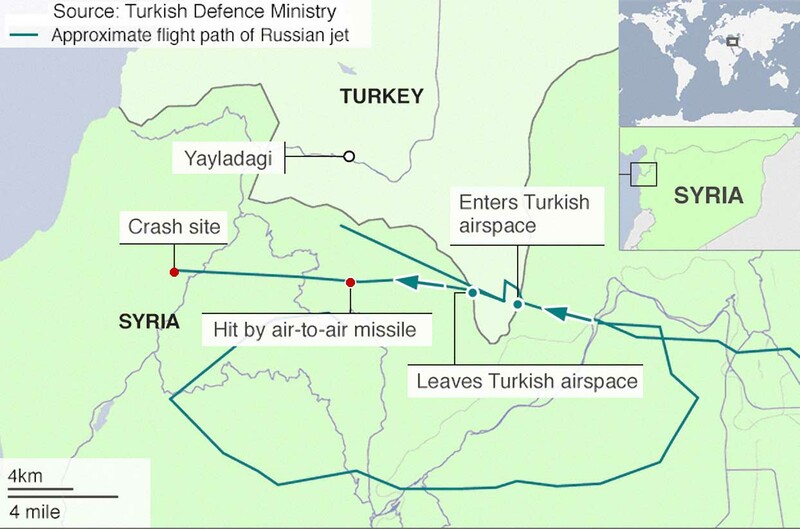 The US military says it cannot offer a precise location where the Russian jet was downed by Turkey and only confirms that it happened “at the border” between Syria and Turkey. 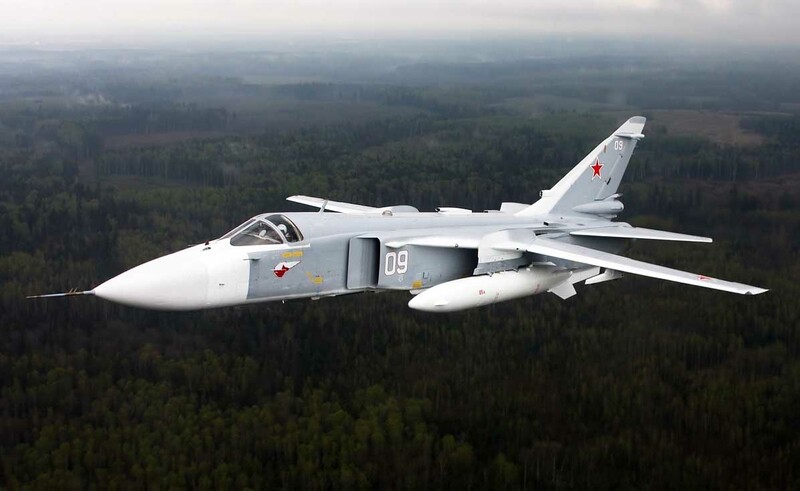 According to the latest news updates the USA believes that the Russian aircraft was hit inside Syria after a brief incursion into Turkish airspace. This assessment is based on detection of the heat signature of the jet. Syrian rebel fighters who have received US arms said, they damaged a Russian helicopter, forcing it to land in government territory. There are unconfirmed reports that the helicopter burned out but that all of the crew was saved and is unharmed. Other reports say that one helicopter pilot died and there are also suggestions that a second helicopter was hit. 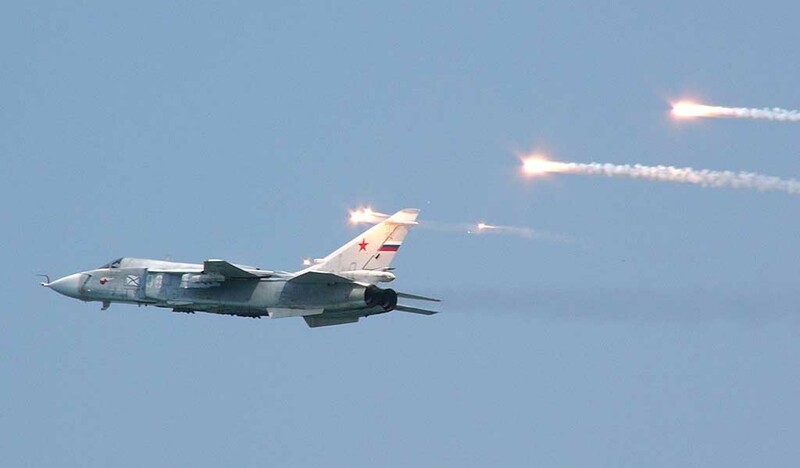 This will not be the last downing of Russian or Syrian aircrafts. Qatar is believed to have delivered Chinese FN-6 MANPADS to rebel groups and several of these have since been acquired by the Islamic State. Documents, which the hacker group Cyber Berkut could unearth, indicate that Qatar is arranging supplies of the Ukrainian air defense systems Pechora 2D, which can strike as high as 21 kilometers, to Islamic insurgents by Ukrainian weapons trader UkrOboronProm via Bulgaria and Turkey. The US officers in Qatar seemingly have approved the deal. The Turkish intelligence agency MIT has since two years trained some 5,000 Turkmen, allegedly Syrians of Turkish heritage and speaking the Turkish language, to invade Syria and keep a vital supply corridor for Jabhar al-Nusra, Ahrar al-Sham, and IS (Islamic State) open. Most of the Turkmen entered Syria via the Bab Al-Selame border crossing. The Turkmen forces had not much success and most of the fighters were absorbed by Jabhat al-Nusra, yet recently the Sultan Murat Brigade and the Damascus Front claimed, that they entered the Turkmen villages of Harcele and Delha in northern Aleppo province near the Turkish border, to retake it from IS with air support by the USA and Turkey. This could have been a testing of the Russian reaction to combined US and Turkish air operations inside Syria. Turkish officials have said, that a major air operation with the US against IS is planned, with Turkmen forces fighting on the ground. The official aim is to clear jihadists from a 98-kilometer stretch of Syria’s northern border. Turkey has long thought to install a “safe zone” or “no fly zone” to keep this area free from Russian or Syrian air attacks. The plan is apparently that IS formally retreats to let Turkmen brigades and other Turkish controlled insurgents occupy the area. US and Turkish warplanes would then provide cover and prevent Russian and Syrian attacks against the supply corridor. The US policy in Syria is incoherent because the neocon hardliners play their own game, and they play it, if necessary, without President Obamas approval. One sign that Washington doesn’t go along with Erdogan’s plans all the time was the removal of Patriot missiles from the Syrian-Turkish border. Another sign were statements of US President Barack Obama at the G-20 summit in Turkish Antalya. 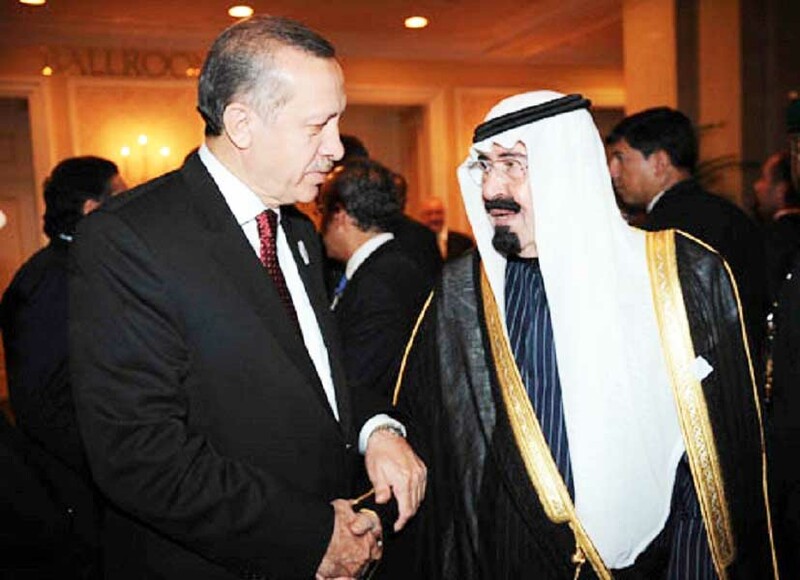 The G20 summit in Antalya was all about reigning in IS, but the hypocritical outpouring of sympathy for the victims of the Paris terror attacks by the participants of the G-20 summit could not hide the fact, that all of the insurgent groups, including IS, are supported by host Turkey and by Saudi Arabia, which sent a huge delegation led by King Salman bin Abdul Aziz Al Saud. IS, singled out as the most dangerous terrorist organization by the West, had always solid backing by Turkey, Saudi Arabia, and probably most other Western players in the Middle East as well. 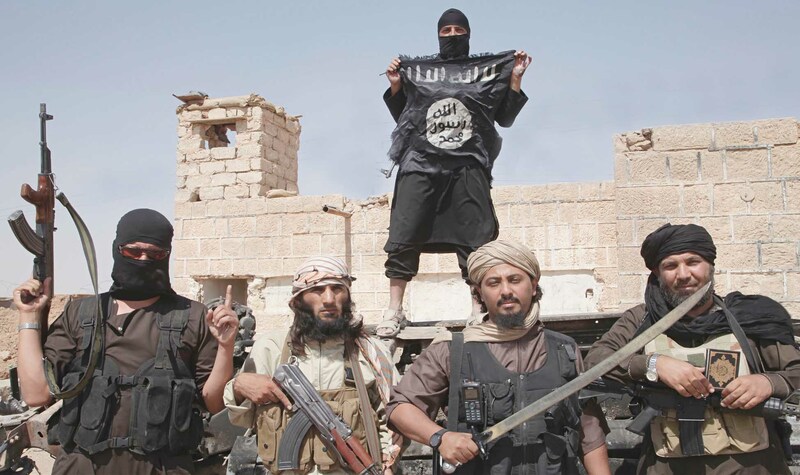 The insurgent groups are relabeled all the time to artificially differentiate between “moderate” rebels and terrorists, but most groups are directed and coordinated from a military operations center in Ankara known as the “MOM,” based on its Turkish initials. 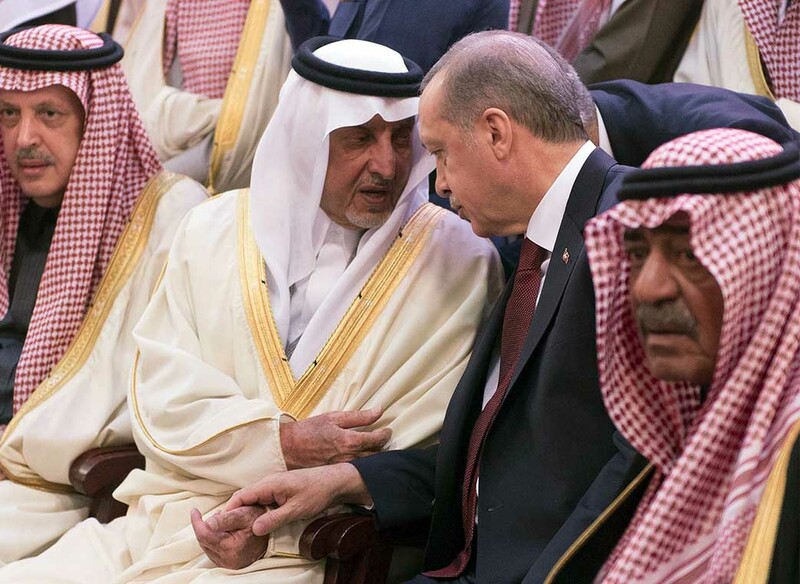 Turkish President Erdogan always had a soft spot for radical Islamists and his AKP party is affiliated with the Muslim Brotherhood. Turkey is home to fugitive leaders of the Egyptian Brotherhood and the Brotherhood’s satellite TV stations broadcast from Turkey. Moreover, the Brotherhood freely holds protests against Egyptian President Abdel Fattah al-Sisi in the Turkish streets. Turkish President Recep Tayyip Erdogan is taking it personally and even has the Rabia symbol on his desk. Ideologically speaking, there is no difference between Erdogan, IS (Islamic State), Jabhat al-Nusra, Ahrar al-Sham, and other jihadi fighters. They are all driven by the same doctrine, based on a special Quranic interpretation, Islamic supremacy, and misogyny. Defying all surveys and predictions, in national elections on November 1 Erdogan’s AKP party surprisingly won an absolute majority, but there is ample evidence that the predictions were right and the election results were wrong. The speed of the vote count and early victory declarations in the pro-government media alone should raise suspicions. The nationalist MHP and the Kurdish HDP lost 2 million and 1 million votes, respectively. There were 1.3 million additional votes compared to June. 600 thousands were due to new votes (of which 200 thousands were new registered voters). There were also 700 thousands less invalid votes. More than half of the additional votes came from Istanbul, where the share of invalid votes shrank significantly. The economist Erik Meyersson analyzed the election and found that the vote counts of AKP, MHP, and HDP show statistical abnormalities (Benford’s Law) which can only be explained by some form of tampering. Exports from Turkey to the rebel controlled areas of Syria have substantially increased and reached 1.8 billion US$ in 2014. While Turkey’s exports are declining in all other markets, they kept rising to Syrian rebels. Between January and September this year, foreign investors established 3,736 corporations and limited companies in Turkey; 1,148 of them, some one-third of the total, were set up by Syrians. One in every six companies established in Gaziantep and one of three in Kilis and Sanliurfa belong to Syrians and most of the Syrians are members of Islamic rebel organizations. A US-led raid against Abu Sayyaf, who was directing IS oil and gas operations, produced evidence that Turkish officials directly dealt with ranking IS members. Documents and flash drives seized during the Sayyaf raid reportedly revealed links between Turkey and IS, “so clear and undeniable, that they could end up having profound policy implications for the relationship between us and Ankara,” a senior Western official familiar with the captured intelligence told journalists. Conservative estimates are that IS takes in one to two million dollars a day from oil sales; some see the number as high as four million a day. Most of the oil is sold via Turkish and Iraqi Kurdish companies to Israel. 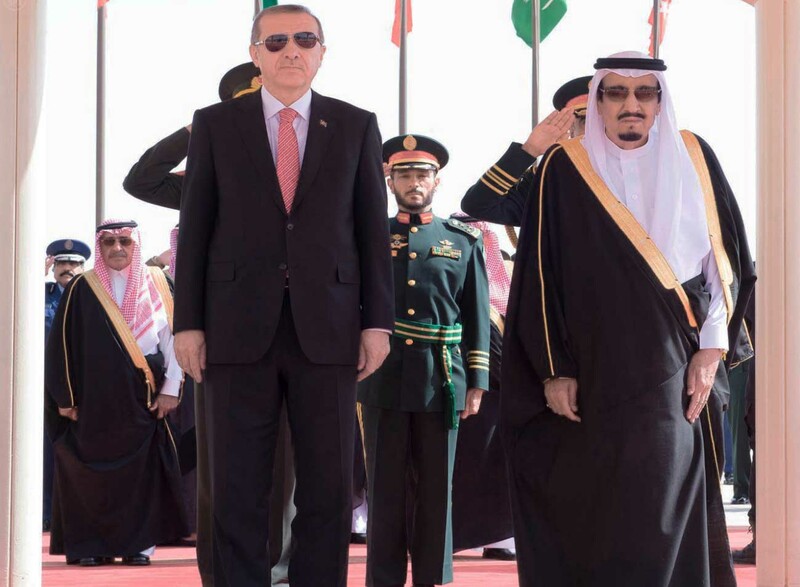 Turkey has supported Islamic terrorists with all needed materials, it has facilitated the selling of looted industrial equipment (mainly from Aleppo), antiquities, and oil by IS and other Islamists. Turkeys spy agency MIT has provided intelligence and logistical support to the terrorist groups. When MIT truck convoys with weapons for IS were intercepted by regional police, the involved officers, prosecutors, judges were removed from their posts and prosecuted. Wounded Islamic fighters are treated in special wards of military hospitals, IS cells, coordinators, and recruiters are monitored but never hindered in their activities. IS operatives are allowed to clear out Syrian opponents who have fled to Turkey. The beheaded bodies of Ibrahim Abdul Qader and Fares Hamadi were just found in Sanliurfa, 55 kilometers from the Syrian border. Abu Mohammad was founder of RBSS (Raqqa Is Being Slaughtered Silently), an activist group which regularly publishes information, photos, and videos about IS abuses in Raqqa, from arbitrary detentions and public executions to a ban on private Internet connections and the issuing of costly identity cards. IS could be economically isolated by closing the supply routes to Turkey, Israel, Jordan. The terror organization is not able to keep economic networks and state institutions functioning without substantial help from outside. A strict embargo would of course instantly initiate the accusation of starving the population, as it happened in Eastern Gouta and other areas, where Islamic radicals are besieged by the Syrian army. The border towns Jarabulus, al-Bab, Manbij are the main supply network nodes and are of immense importance. That stretch of the border is the preferred transfer area for IS apprentices and supplies of all kind, who come from the Turkish cities Gaziantep or Kili and enter the Aleppo countryside to reach the caliphate capital Raqqa. The Kurdish YPG/YPJ would like to march into this area to close the gap between the Kurdish Afrin and Kobane cantons, but Turkey has made clear that any move of the Kurds across the Euphrates to the western border region would be a casus belli. Turkey has shelled YPG/YPJ positions various times and concentrated huge forces along the border, ready to invade Syria. Until now Turkey and Russia have managed to keep their political disputes away from the substantial economic relations. But Erdogan already made references to possible sanctions against Russia. He said, that Turkey could stop its natural gas purchases from Russia, which supplies more than 55 percent of Turkey’s needs, and award the building of the 20 billion US$ Akkuyu nuclear power station to another, non-Russian contractor. Surprisingly Russia instantly took preemptive measures and stopped issuing transit passage documents to Turkish trucks carrying Turkey’s exports to Kyrgyzstan, Kazakhstan, Tajikistan, and Mongolia. Gazprom turned down a Turkish request for an additional 3 billion cubic meters of natural gas for 2016 and declared that it will cut by half the capacity of the proposed 16 billion US$ Turkish Stream natural gas pipeline project or even postpone the project. Russia further exerts pressure by stiffening its inspections of Turkish foodstuffs and making border crossings more tedious. By rejecting tons of Turkish fruits and vegetables, Russia has been warning that it is capable of inflicting severe damage to Turkey’s exports. 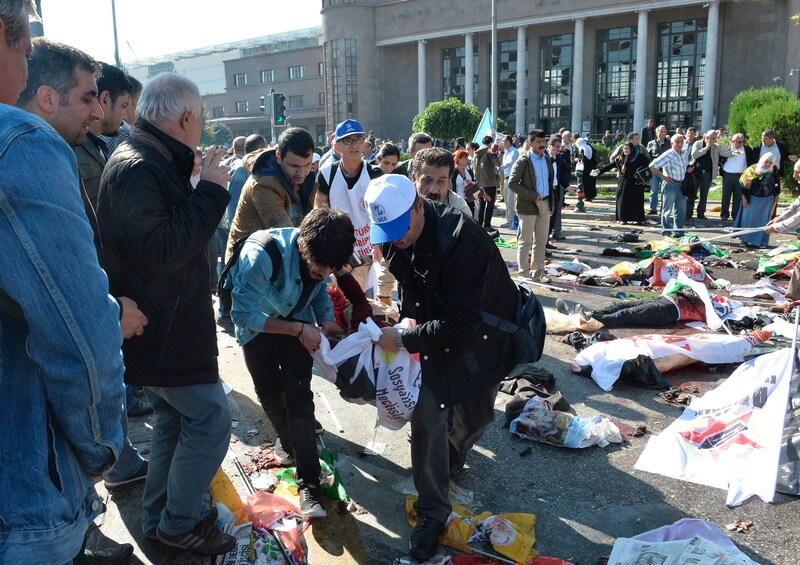 The number of Russian tourists to Turkey has declined even before the downing of the SU-24 because of Western sanctions, and the decline accelerated after the IS bomb attacks in Suruc and Ankara. It is hard to imagine that any Russian citizen will now want to visit Turkey. Erdogan’s economic threats as a reaction to Russian operations in Syria will likely become more substantial. But the natural gas agreement between Turkey and Russia is a long-term one that requires Turkey to keep paying for gas even if it stops importing gas. The bilateral agreement on the Akkuyu nuclear power station was signed and approved by the Turkish parliament. If Turkey decides to halt the project or award the contract to another company, it has to convene the parliament to abrogate the agreement and it will have to pay heavy compensation. After the SU-24 incident Russia’s main stock index fell more than two percent, while Turkish stocks fell more than four percent. Both the ruble and lira currencies were weaker. Turkeys economy is vulnerable and the relentless war against the Kurdish PKK has been a disincentive to potential foreign investors. Turkey has reason to fear higher US interest rates because it has borrowed heavily in US$, and it imports much more than it exports. The lira has already fallen about 17 percent against the dollar this year. A move by the US Fed to raise rates could further boost the dollar, making Turkey’s imports a lot more expensive. The cost of servicing Turkey’s short term foreign debt of nearly 125 billion US$, or roughly 8 percent of GDP, would also rise. Despite increasing inflation and pressure on the currency, Turkeys central bank has kept interest rates unchanged for most of the year. The government is strongly opposed to higher borrowing costs because it is worried about the impact on consumers. Russia cannot retaliate against Turkey militarily because that would mean war with NATO. But it can hurt Turkeys economy and Russian media will have to inform the world public about Turkish support for terrorism. There is so much undeniable evidence that it should not be difficult to make this case. Putin finally has to put the gloves off, otherwise Erdogan will make a fool out of him.